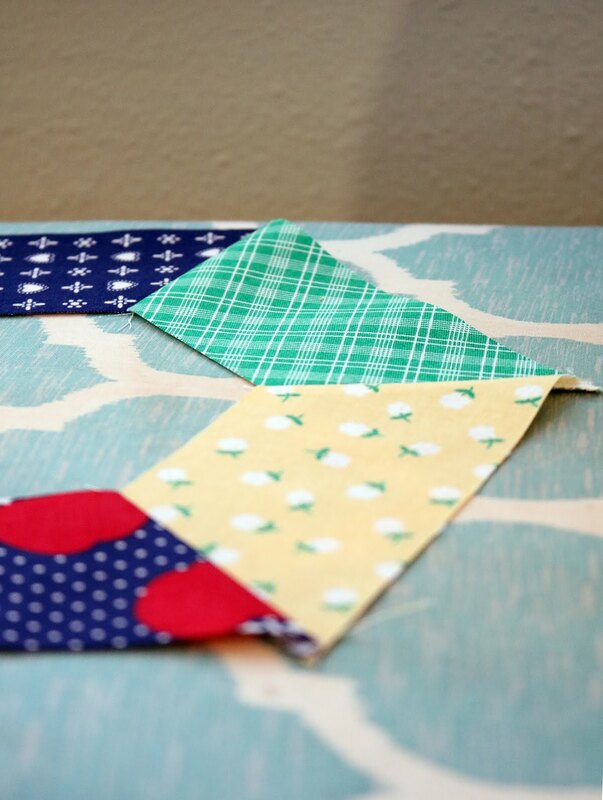 Over this past week I've been sewing with some fun new fabrics! 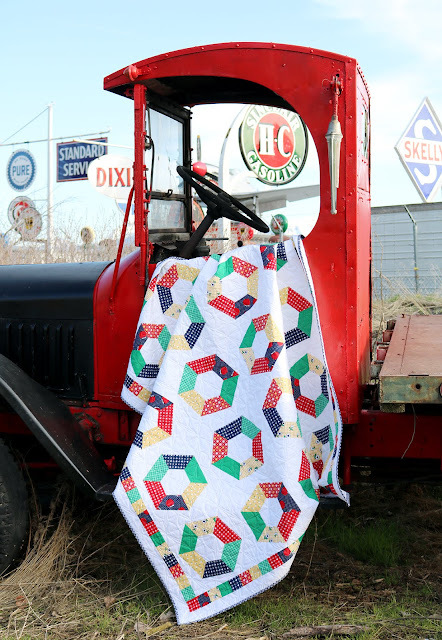 Amy Smart's latest fabric line, Sunnyside Ave has is now available in stores and it's been so fun to dream up a quilt to go along with it! This fabric line is filled with Amy's signature bright and cheery primary colors - paired with daisies, plaids, and my favorite... apples! And these new prints go hand in hand with the prints from her first line, Gingham Girls. 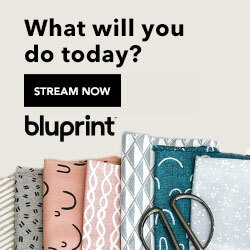 I just love when designers make lines that coordinate with one another, don't you? 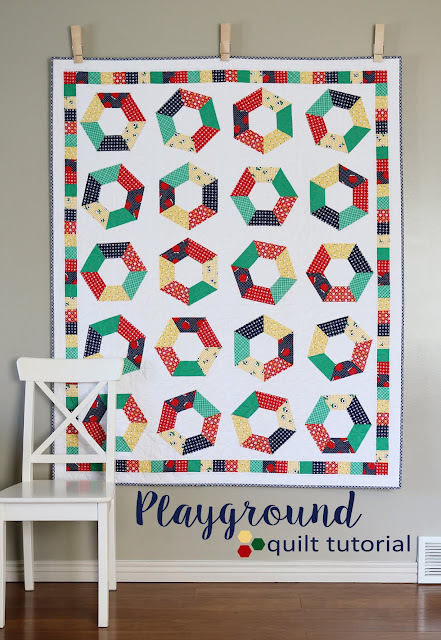 I named this quilt pattern Playground because the colors and the shape of the blocks reminded me of the old school merry-go-rounds that used to be a playground staple. Remember those? It's a little sad that they've all but disappeared from schools and parks. The finished quilt measures 56" x 68"
From the background fabric cut 7 @ 12.5" x WOF. Subcut into 12.5" squares. You'll need 20. From the background fabric also cut 7 @ 2.5" x WOF and set aside to use for the border. Cut each of the prints into 1 @ 2.5" x WOF and 1 @ 6" x WOF. Then cut the 2.5" x WOF strip into 2.5" squares, and cut the 6" wide strip into 2.5" x 6" sections. Now it's time to get all fancy with our rulers. Find a ruler with a 60 degree marking on it. Line up the 60 degree line on your ruler with the bottom edge of a strip. Move the ruler over so that it intersects the bottom right corner of the strip. Then use your rotary cutter to cut along the edge of the ruler as shown in the photo above. You just made your first 60 degree cut! See...not so hard, right? 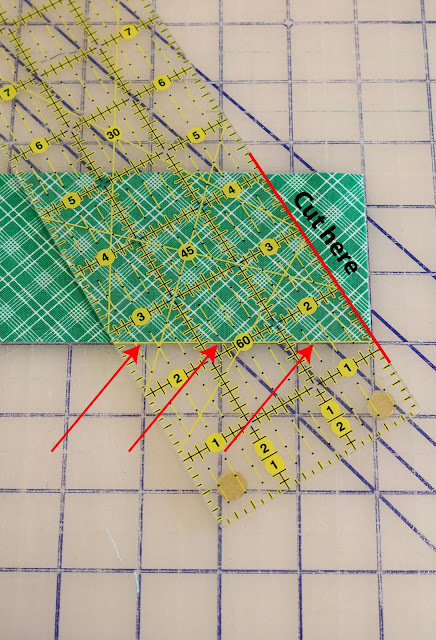 Line up the 60 degree marking on the ruler with the bottom edge of the strip of fabric. Move the ruler over to the left so that it intersects the bottom left point of the strip. Then cut along the edge of the ruler. 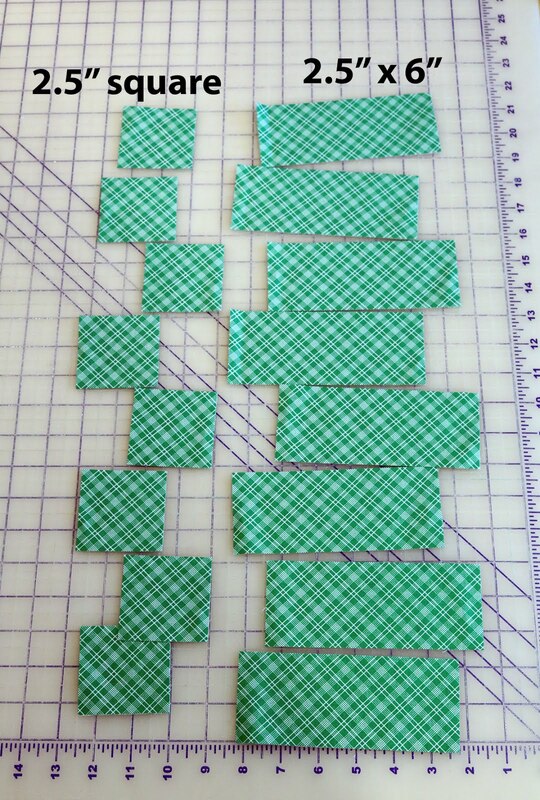 Repeat to cut all of the 2.5" x 6" strips the same way. You'll need 120 total. 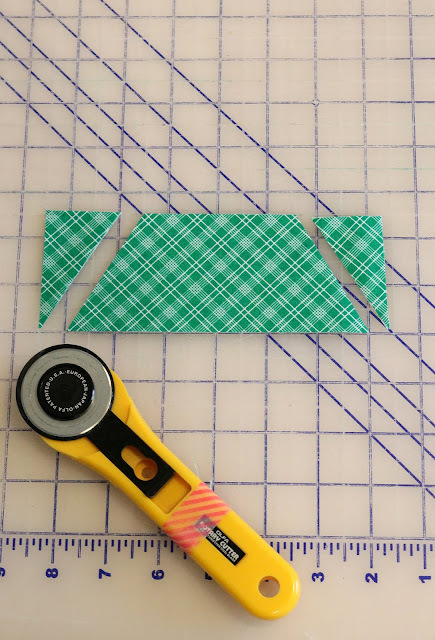 If you have a nice sharp blade in your rotary cutter, you can stack and cut 4 strips at a time. Time to make the block! 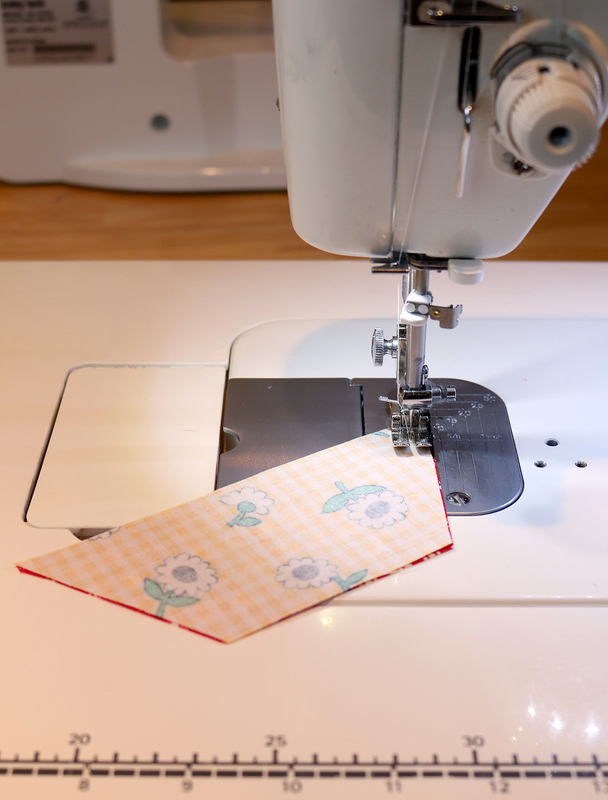 Grab two of the strips, place them right sides together and using a 1/4" seam, sew along the 60 degree cut edge. Continue sewing the strips together until you have made the entire hexagon ring. And if your block doesn't lay flat at first don't worry! Some of mine did, and some didn't. See the little bit of wave in the green strip below? That will work itself out in the next couple of steps. After pressing the seams in one direction, flip the block over and press on the right side of the fabric to help flatten out any problem areas in the block. 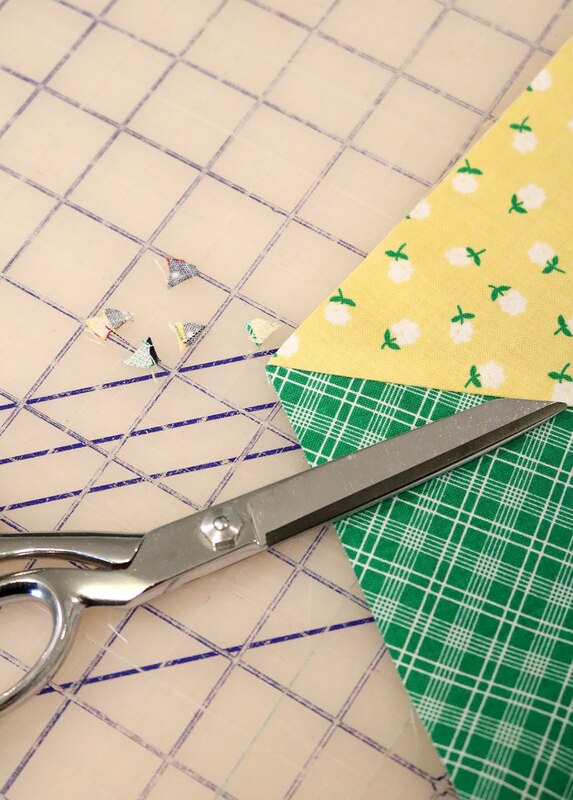 Trim off the little dog ears that stick out from the edges of your block. 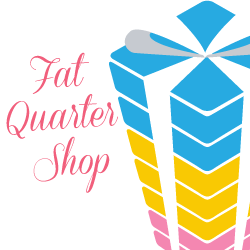 Next, take a 12.5" background square and fold it in half twice to find the center of the block. 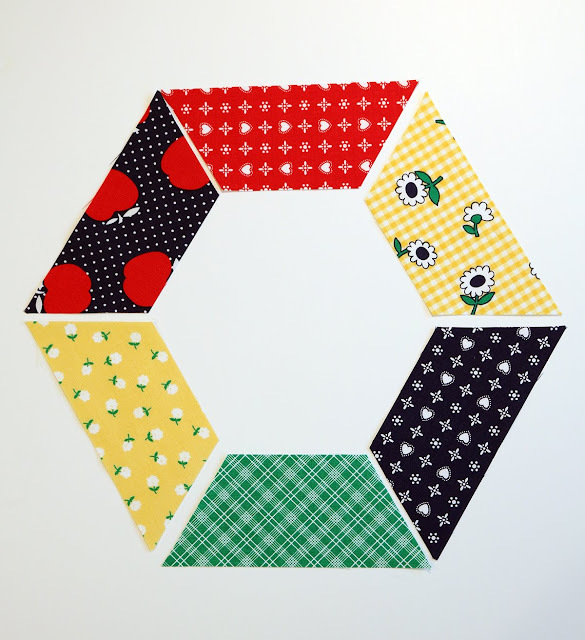 Place the hexagon unit onto the background square, centering it. Taking care not to move the hexagon unit, flip up one corner to expose the seam allowance. 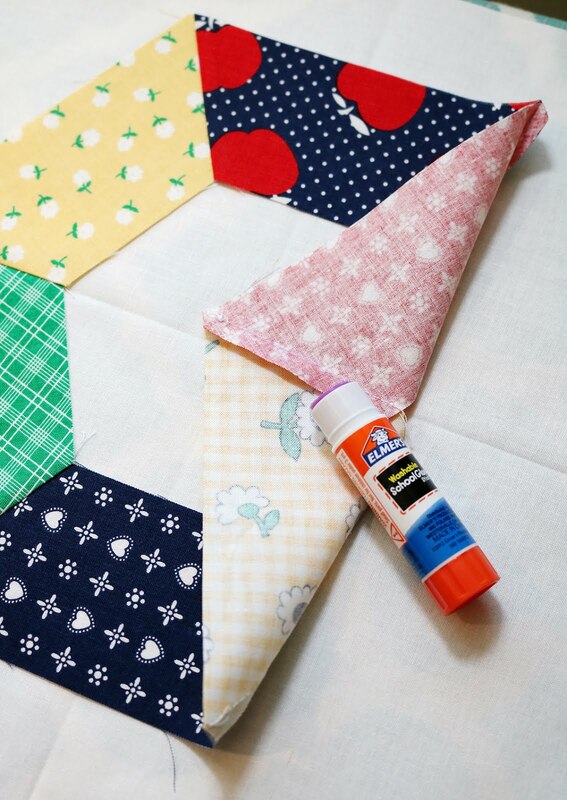 Run the glue stick along the seam allowance and press in place. Repeat for all six seam allowances. 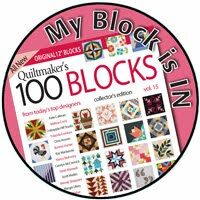 This will help to hold the block in place while you stitch it. You can also add a few pins around the outside to secure it, although I found the glue did a good enough job! 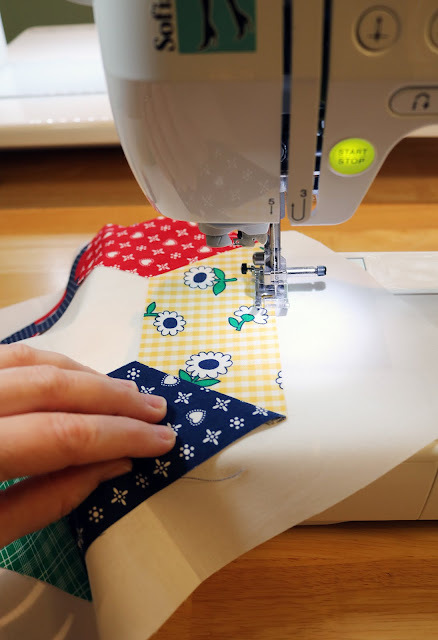 Using a coordinating thread and a thin zigzag or blanket stitch, stitch around the outside of the hexagon. 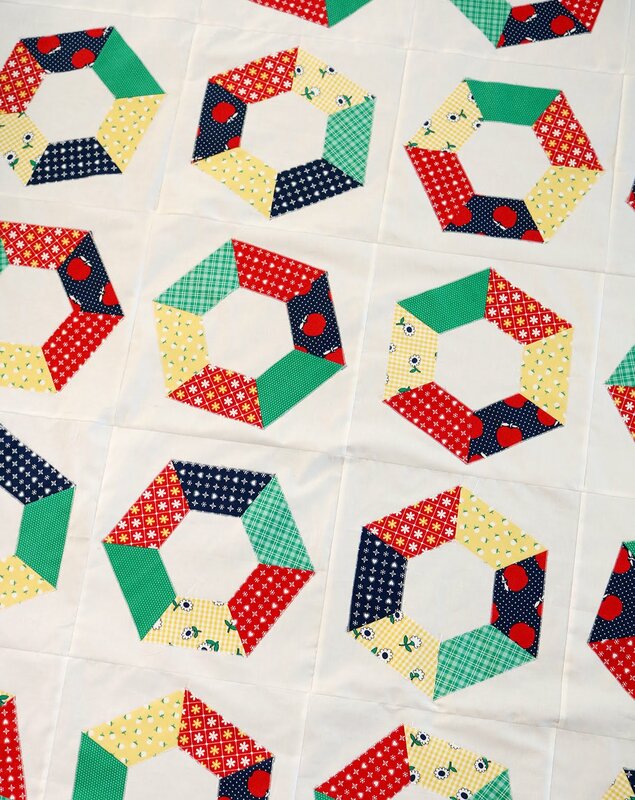 Repeat to stitch around the inside of the hexagon. Give the block a good final press, and it's done! 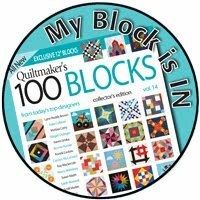 Repeat to make all 20 blocks. 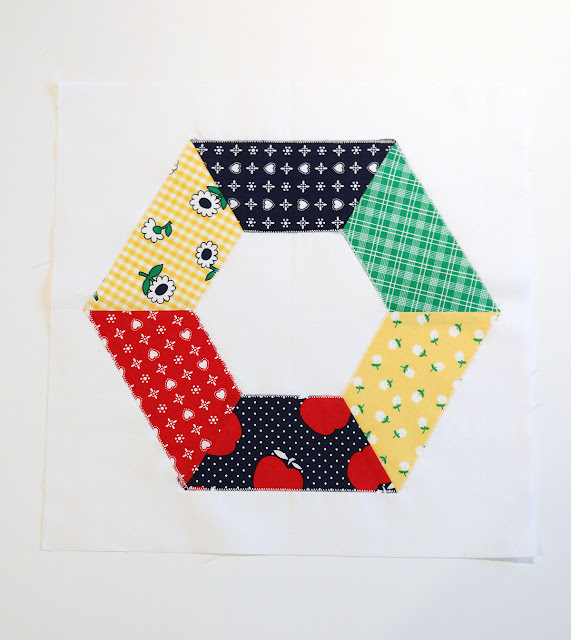 When you're centering your blocks on the background squares, don't be afraid to spin your hexagon units at different angles! Just make sure it's centered on the block and you'll be fine. In the block below, I measured the distance from the edge of the block to the outer points of the hexagon to help center it. Once you get all 20 blocks made, sew your blocks together into five rows of four blocks each. Press the seams of each row and then sew the rows together. 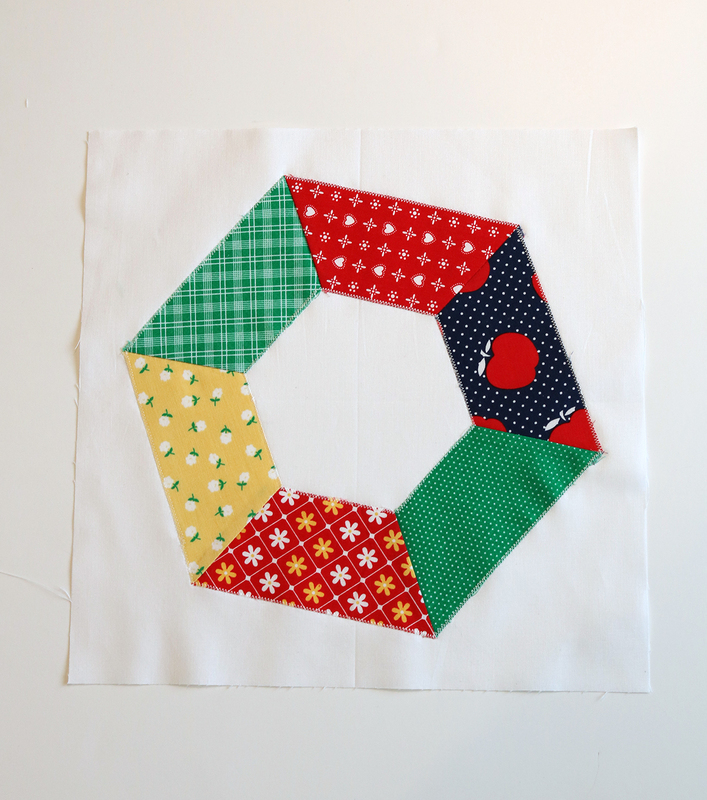 Next up is a fun pieced border using the 2.5" print squares. 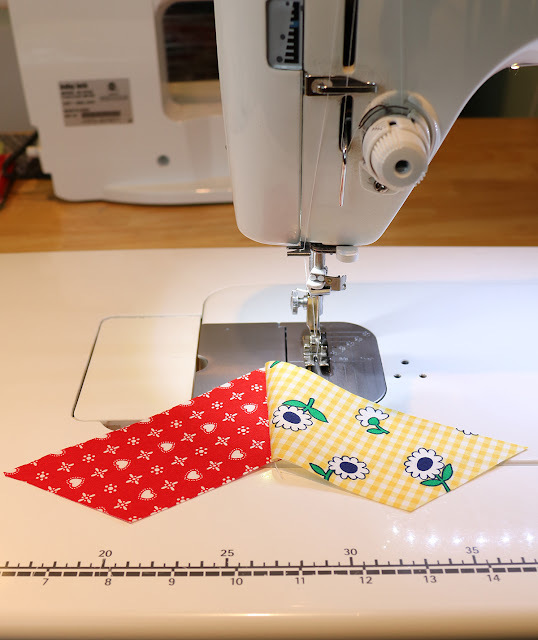 Sew the 2.5" squares together into 4 long strips - two of the strips need to have 30 squares each, and two of the strips need 26 squares each. Press the seams of the strips in one direction. Sew the strips with 30 squares to the sides of the quilt top. To help line up the strips, know that every 6th block will line up with a seam on the quilt top. Press seams. 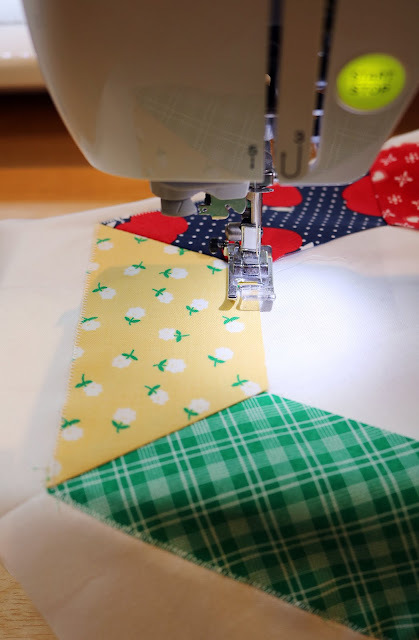 Then sew the two strips with 26 squares to the top and bottom of the quilt top. Press. Time for the last border - you're almost done! 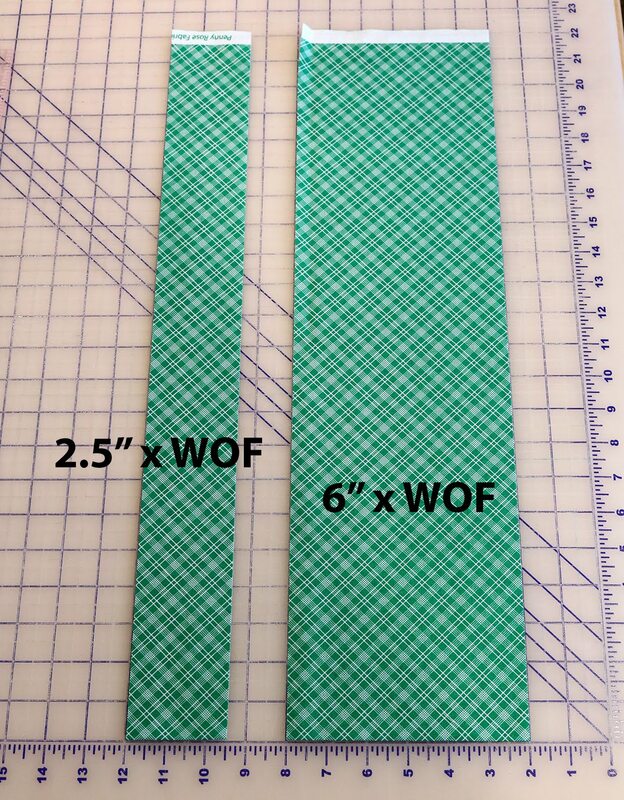 Remove the selvages from the 2.5" x WOF long background strips. 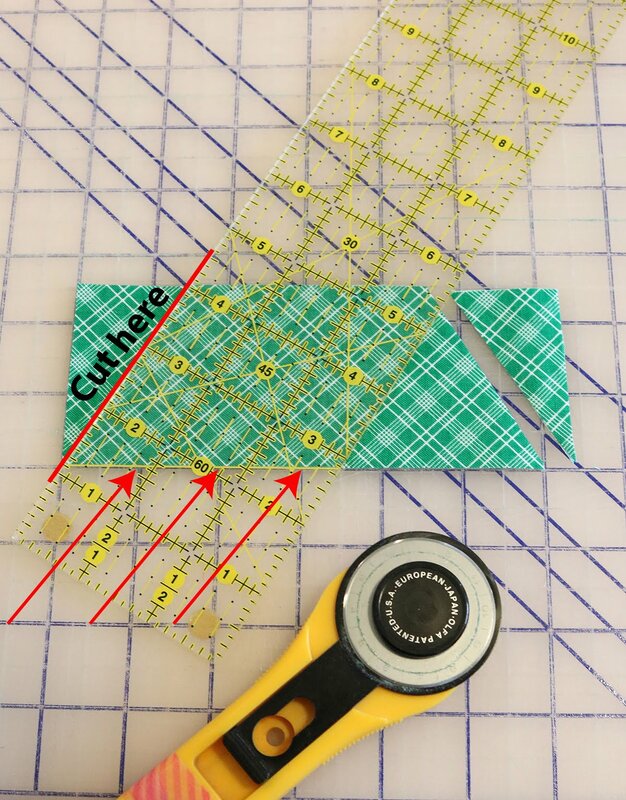 Sew these strips together end to end to make one long 2.5" wide strip. Measure the length of your quilt top through the center of the quilt. Cut two border strips to that length. 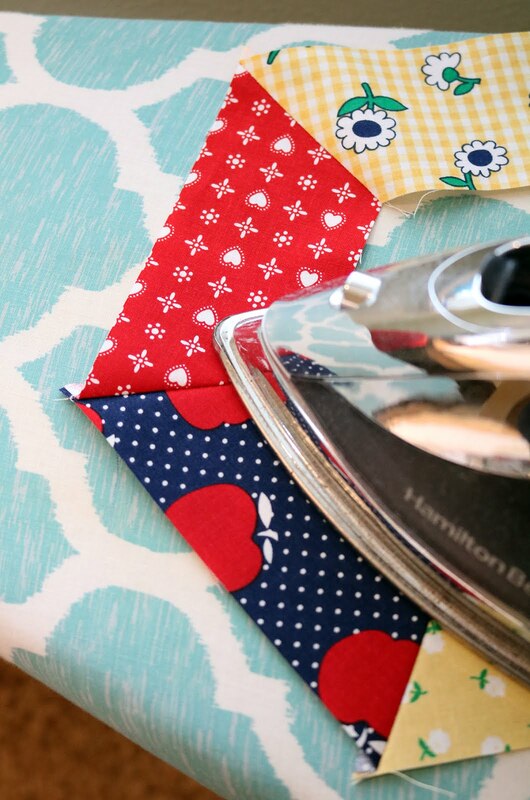 Sew to each side of the quilt top & press. 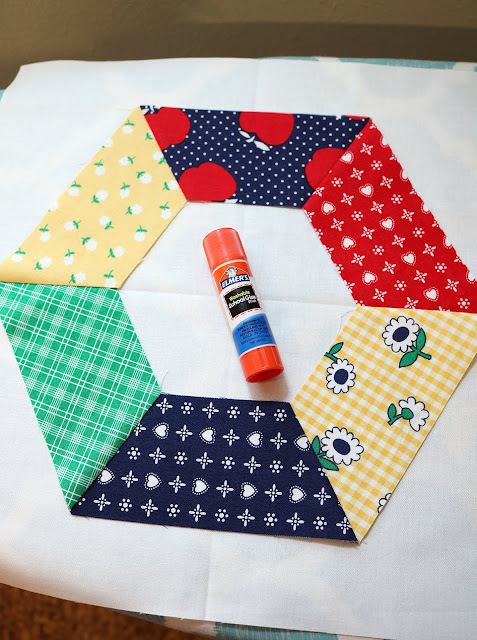 Now measure the width of the quilt top through the center (including the two side borders you just added) and cut two border strips to that length. Sew these to the top and bottom of the quilt. Your Playground quilt top is all done! Time to baste it, quilt it, and bind it. 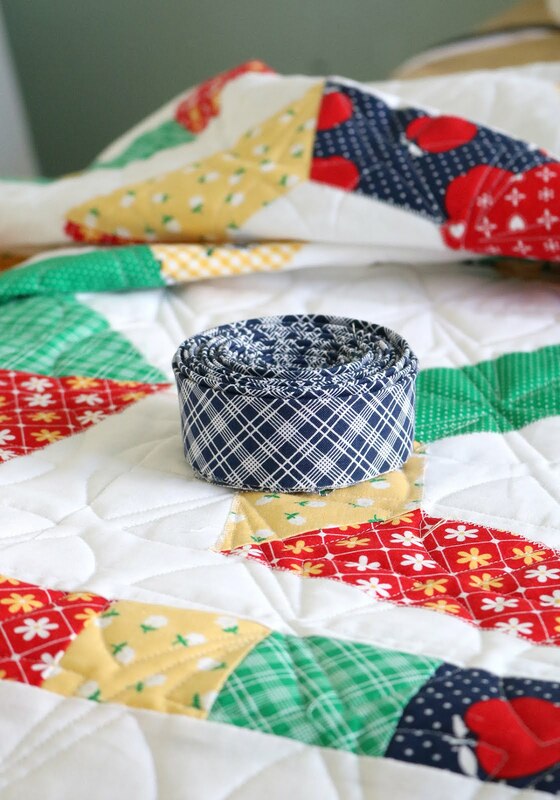 The navy plaid print from the Sunnyside Ave line makes a fantastic binding! 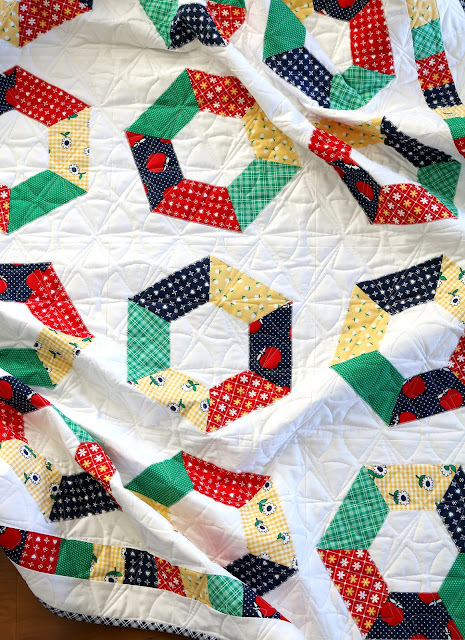 If you make a Playground quilt, please share - I'd love to see it! 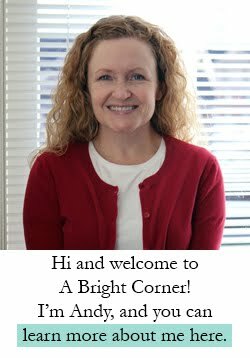 Tag me on Instagram (@abrightcorner) or Facebook and use the hashtag #playgroundquiltpattern and #abrightcornerpatterns so we can all see what you create! 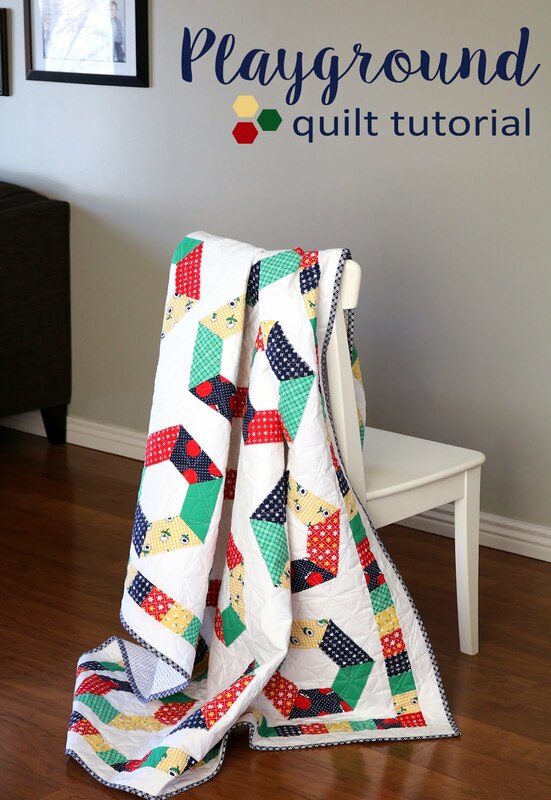 Looking for more quilt tutorials? 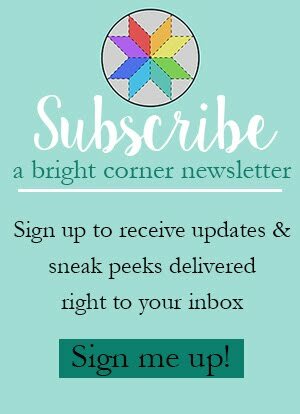 You may enjoy these! 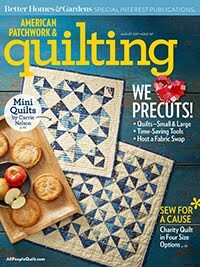 Feel free to pin them to your favorite quilting Pinterest boards so you can find them later. Great pattern Andy! Thanks for sharing it! It's very cute, I love how the rings twist and turn. And yes I do remember the merry go rounds, loved them! This is so cute Andy!! I love it!! 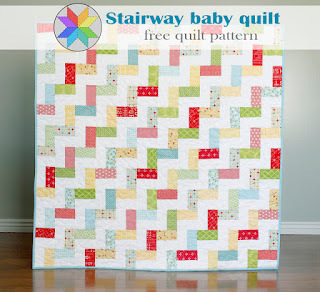 What a fantastic quilt that perfectly fits Amy's fabric. Love this pattern and fabric together!! What a great pattern and quilt!! BRAVA!! 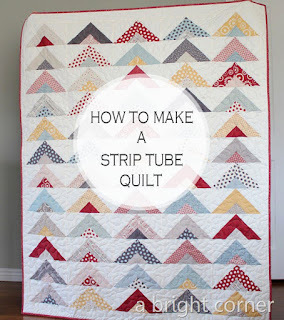 I do love that line of fabric and your quilt is sew cute! Playground looks great and simple enough to make. I loved those merry-go-rounds from yesteryear. It's sad to know that my grandchildren will never experience them. Well, some of my kids didn't either. All in the name of safety. I never saw anyone get hurt from one of them in all the years they were around. Just saying, maybe we're a little too safety cautious. 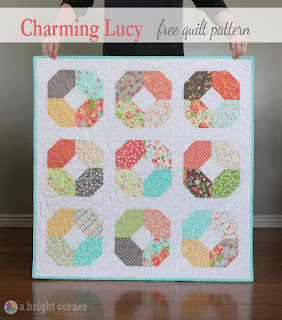 Very cute pattern and it looks great with that fabric line! Thanks for the tutorial. BTW, I don't know if you're aware of this or not, but your photos in my feed have been quite blurry lately. Once I go to your blog everything is fine though. I hope you can understand what I am talking about.